Term 2 ended today with a visit from Ian and his birds of prey. P4-7 really enjoyed learning from Ian and asking him questions. 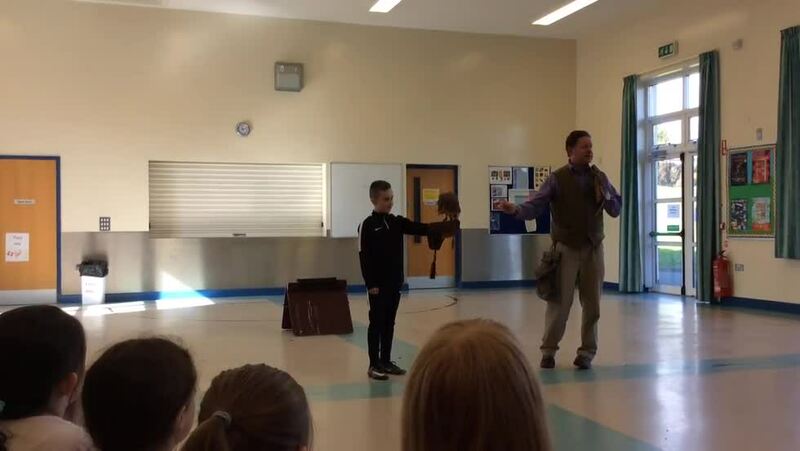 Some of the pupils (and even the teachers) got the chance to hold his owls and kestrel.